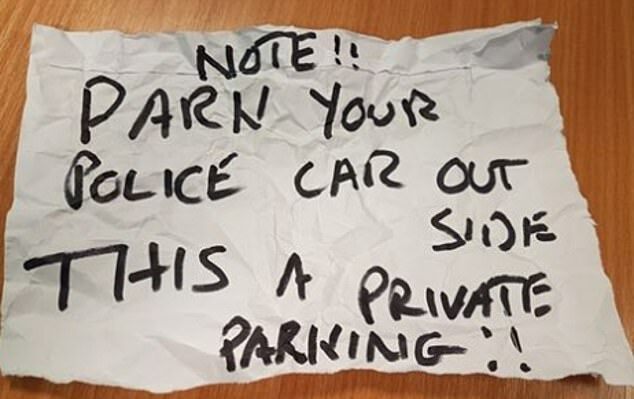 A resident left an angry note on a police car after officers parked outside their house while responding to a 'life or death' emergency. 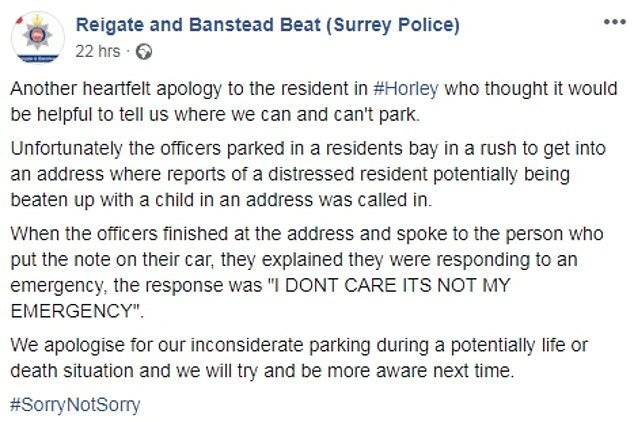 Posting on their Facebook page, the team, part of Surrey Police, said: 'Another heartfelt apology to the resident in Horley who thought it would be helpful to tell us where we can and can't park. This is not the first time someone has left a note berating emergency services for parking outside their property during an emergency. In February 2018, a woman from Stoke was fined £120 for leaving an angry note on an ambulance and telling paramedics to 'move your f****** van'.